Alpha previews are making their way into some AdWords accounts and we’re excited for the redesign! A few of our accounts got a sneak preview, including Google’s helpful tutorial to let us all know what’s to come. 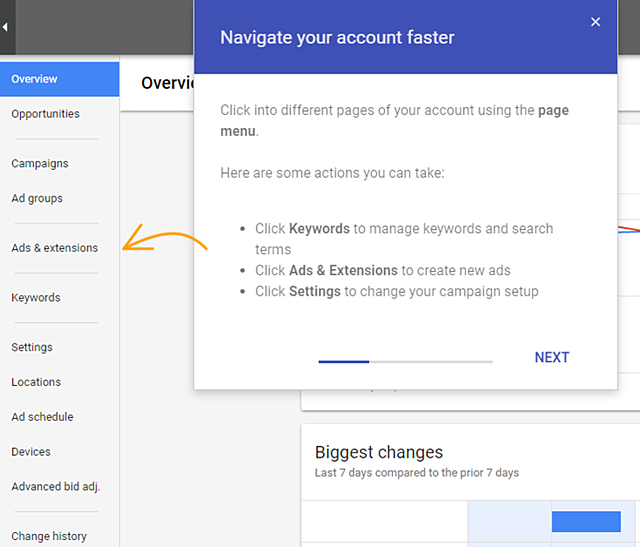 Here’s a breakdown of the new features we’ll get as the new Google Adwords interface rolls out. 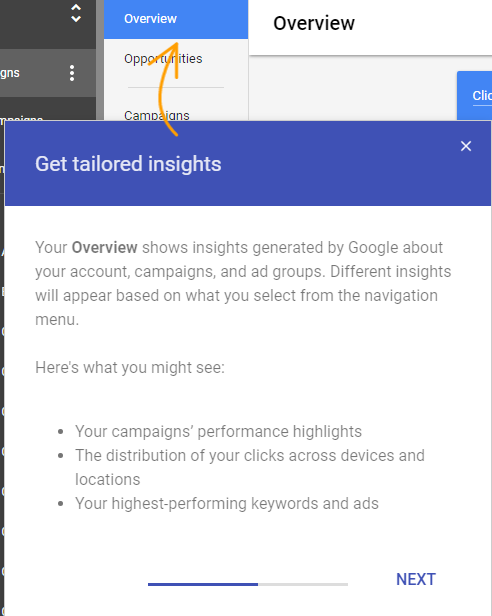 Tabs for viewing campaigns, ad groups, keywords, and other account data will be moving to a list menu, similar to Google Analytics. This will replace the old tab interface. The legacy tools menu (conversions and Analytics access) will be combined with the gear menu (that brought you to billing and account settings). Find all of these features in the 3-dot menu. Help, formerly in the gear menu, is getting a prime spot in the menu. 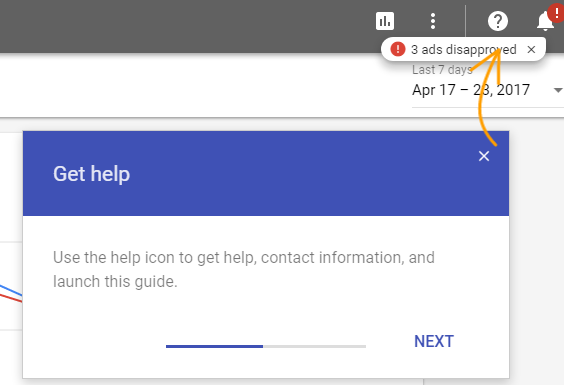 We would use this feature to get support for our three disapproved ads! Overview will be the new home of your quick-look for account performance. Depending on your view, you’ll find ways to optimize PPC performance and easily spot trends for your clients. 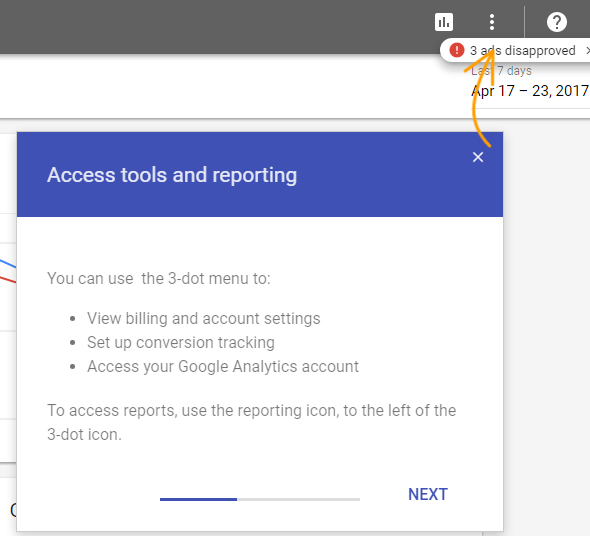 Given the recent updates to Analytics and Data Studio, an update for AdWords has been a definite necessity to keep pace with Google products. We’re hoping that Google doesn’t pull a “Plus” and alienate users just for the sake of change, but we think these updates and design changes will make for a better user experience and help the bottom line. Have you tried the alpha preview yet? How do you like the interface? Let us know!